Trinadha Rao Nakkina's action comedy Nenu Local has opened to average reviews from the critics. The Telugu entertainer stars Nani, Keerthi Suresh, Sachin Khedekar and Naveen Chandra in important roles. It is produced by Dil Raju and its music has been composed by Devi Sri Prasad. The film revolves around the characters of Babu, played by Nani and Keerthi. Keerthi's father, played by Khedekar, is revealed to be Babu's professor from his engineering college. Thus, comes an uphill task to convince the father to permit his daughter to marry Babu. Add to this mix, a cop played by Chandra, who enters into an altercation with the father. How Baby works his way around and gets the job done forms the crux of the rest of the story. The film, in spite of its impressive cast and crew, opened to mixed reviews after it released on 3 February. 123Telugu.com gives the film a rating of 3.25/5 and reviews, "Nenu Local is a likable love story which is aimed at the youth and mass audience. 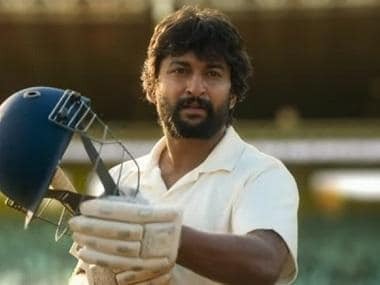 Today’s younger generation will surely connect to Nani’s character and performance which is the biggest highlight of the film. If you ignore the routine story line and predictable proceedings, this film has decent fun, good songs and some lighthearted entertainment which make Nenu Local a good time pass watch this weekend." 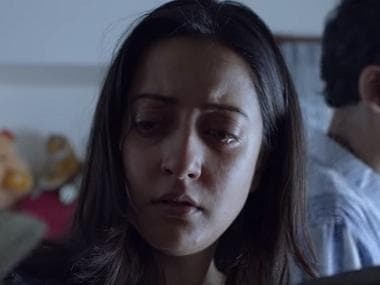 Mirchi 9 gives the film a rating of 2.5/5 stars and reviews, "As said above, if what the director intends to deliver the message was in climax, it could have been arrived with better screenplay and characterization. It is nothing new and has been done well in the past." Telugu 360 gives the film a rating of 3/5 and reviews, "Nenu Local is a typical comedy entertainer. The first half is a major asset to the movie, second half is okay. If you don’t mind typical formula movie or you like a Nani movie, go for it. While youth segment of audience may embrace, others may opine this as an average content movie. Regardless, yet another minimum guarantee film for Nani & Dil Raju."